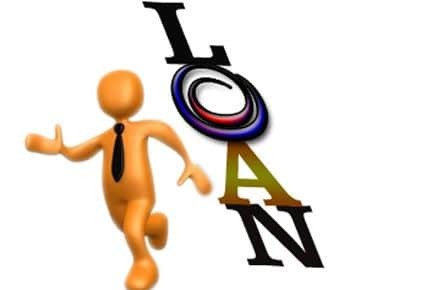 Loan can be described as a financial assistance from an institution or an individual, with excess money, to an institution/business or an individual with limited money. Loans are facilitated by banks and other financial institutions for the purpose of accumulating interest. People avail loan with an objective to satisfy their immediate needs, with a promise/contract of repayment, over a period of time. Loan can be of different types. Secured and unsecured loans are the two broad terms used to classify loans. Secured loans are availed by pledging an asset, in proportionate to the value of loan. These loans are quite cheap as the banker or the lender has very less risk in the process. On the other side, unsecured loans depend on characteristics of the borrower, rather than physical assets. For instance, age, health, income, job profile, etc.., are some important factors determining the eligibility of unsecured loans. Based on these aspects, one can avail loan without pledging or mortgaging any asset. These loans are slightly costly, as the lenders have a greater percentage of risk attached to it. To minimize cost, one should always prefer secured loans over the unsecured loan. There are various other classifications, based on the purpose, which include personal loan, home loan, business loan, car loan, etc. Eligibility is an important concern for all types of loans. Firstly, most loans can be availed by people, who have a running income of 25 thousand (per month) or more. People below this income slab might not be eligible for loans, particularly the unsecured loans. The income is determined, as per the Income Tax return documents and loan amount is also proportionate to the disclosed income. False disclosures could minimize the eligible loan amount. Credit score is another important factor for availing loan. One has to have a clean transaction history, with zero defaults, in order to attain loans quickly without any hassle. The history of transactions can basically be determined by the credit score.